PRESCOTT - Fleeing a civil war is frightening enough, but leaving your home, your country and everything you know to build a new life from scratch in Canada must be no less daunting, and that has been the experience of dozens of Syrian refugees who have settled in this region over the last couple of years. Helping them out has been Refugees for Brockville, a committee of volunteers from around the area who help support the various, mostly faith-based, sponsors of the local refugees, and later this month, there will be a delicious opportunity for the public to help Refugees for Brockville continue supporting those new to our community. The group will be hosting a wild game dinner at the Prescott Legion on Saturday, February 24 that will feature a menu the likes of which most people will never have seen but which ought to cater not only to the adventurous but to more timid eaters, too, and all the money raised will be put towards the needs of those who came to this country with next to nothing. "It was a real struggle for the immigrants here. I can feel for these people," says Rene Schoemaker, a long-time Prescott resident and avid hunter whose family emigrated from Holland in the early 50s and whose parents had to work hard to build a life here in their new home. "We appreciated any help at all," he says. The wild game dinner was Schoemaker's idea, and he has called on his friends in the local hunting community to help provide the moose, venison, goose, bison, elk and wild boar that will feature prominently in many of the delicious dishes on the menu. With years of experience preparing wild game, Schoemaker will also be doing most of the cooking and is planning to incorporate some French, Thai, Indonesian and Haitian flavours into the evening's entrees. "You're not just going to get a big slab of meat on a plate," he says. Schoemaker will be getting some help in the kitchen, though, as gravy will be provided by Bobby's Restaurant in Prescott, and Brockville's Imam Ahmad Khadra will prepare a delectable Tabbouleh salad. There will also be vegetarian options for those who want to help out the Refugees for Brockville but don't want to eat meat, and for those with less adventurous palates, there will also be some dishes made from more familiar meats. "It's going to be a diverse and eclectic menu," says Jacqueline Schoemaker-Holmes, chair of Refugees for Brockville, and Rene's daughter. Choosing what to have for dinner that night might be a little more difficult than usual, but for those who have never tried wild game before, there will be samples available earlier in the evening to make choosing a little easier. There will also be live music provided by a local pianist and those in attendance will have a chance to learn more about the local refugee settlement program. Since 2015, this area has become home to 13 refugee families, comprising more than 50 people, and Refugees for Brockville seeks to do what is needed to make sure the new Canadians feel welcome and have what they require to make lives for themselves in their new country. The organization helps the newcomers access educational and skills training, and can work with them to get their foreign credentials recognized here. If a refugee needs help finding medical or dental care, the group can help there as well. There are also community events and programs aimed at helping the refugees better integrate into the community. The organization also maintains a small fund to help the newcomers with any unexpected financial demands and does anything it can to solve the many little problems that refugees will encounter as they acclimate to their new home. "If anything comes up, they can come to us, and we do our best to support them," says Schoemaker-Holmes. "They're all unique, and they all have specific needs that may go beyond the money already raised." Members of Refugees for Brockville will be helping out in the kitchen and will be serving dinner, and there might be a familiar face doing dishes, too, as the mayor of Brockville, Dave Henderson, has agreed to lend a hand. Organizers are also most grateful to the Prescott Legion Branch 97, which has been most generous and accommodating, providing the use of their hall and kitchen facilities for the event. Tickets to the wild game dinner are $52 per person, $182 for a group of four and $364 for a group of eight. Tax receipts will be made available. Tickets can be purchased online at https://1000islands.snapd.com/events/view1113366. 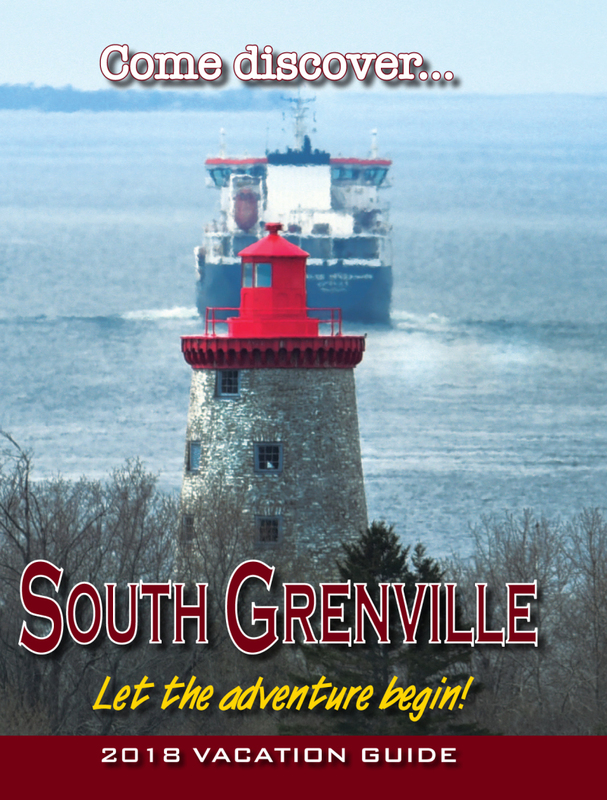 Anyone with questions can also contact Schoemaker-Holmes at jholmes@brockville.com. The Prescott Legion is located 141 Henry Street, and the dinner begins at 6:00 p.m.
A few days before the wild game dinner, Refugees for Brockville will also be joining with Brockville's Galaxy Cinemas to host a fundraising movie night on Wednesday, February 21. The movie will be Meditation Park and it will start at 7:30 p.m. Admission is $9 with tickets available at the door.